Working as a building inspector Freddy has seen the lack of quality that comes with rush jobs and project built homes. “I suppose it’s the curse of their success – they’re quite stretched and they haven’t got the time to spend on each job that they’ve got,” Freddy says. Teaming up with his wife Sera, Freddy brings a high level of quality control to home building in the Sydney South West and Liverpool area, making sure the quality you expect in your new home is the quality you get. 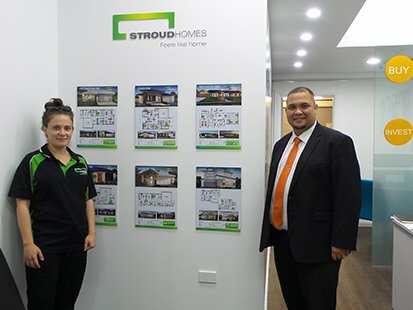 What stood out to Freddy with the Stroud Homes model was the support. With a great reputation of the brand and ongoing support, Stroud provides its quality builders, it allows Freddy to focus on what he does best; building quality homes for people in the local market. Freddy and his wife Sera have lived in Sydney’s south-west their whole life, which is why there’s nowhere else they’d rather be. They love the idea of building family homes for their own local area. We are proud to announce that we have recently partnered with SJ Reality who are located at Mount Annan Shopping Centre. Come in and chat with Stephane and his team and check out some of our most popular designs and terrific inclusions.